What is the delivery charge for wigs? Our UK delivery charge is £4.00, this is for a tracked My Hermes Courier Service and approx. delivery is 2-4 working days. Fill out the Returns Form which can be downloaded from this page and enclose with your return. Please return the item enclosing your completed Returns Form Please Note: If this information is not provided within the return, this will result in a delay issuing the refund or exchange. 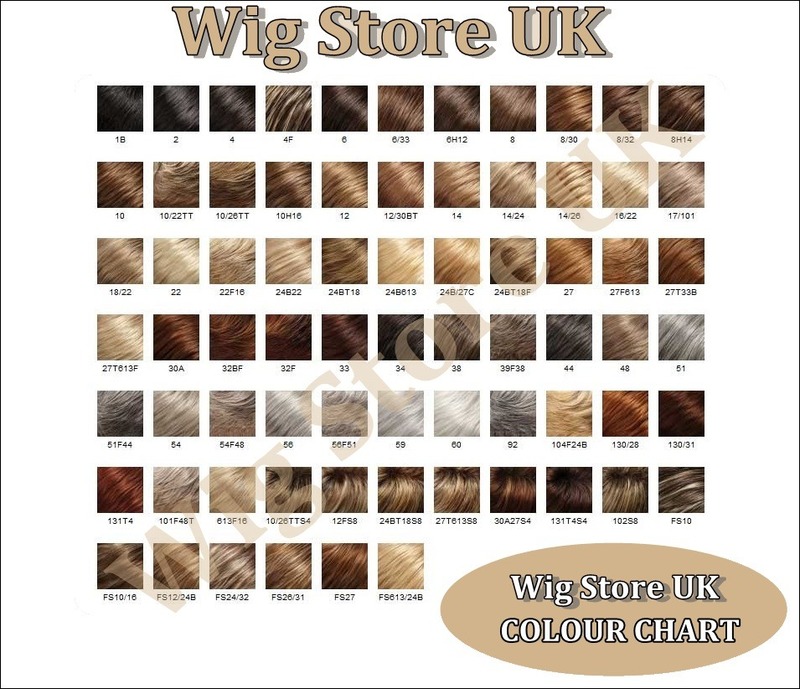 Return the item to: Wig Store UK, P O Box 288, Inkersley Road, Bradford, West Yorkshire, BD1 4RS. You have 7 days from receipt to return to us. The best way to store your new wig. Wigs are best stored in a cool clean dry area, away from damp and high temperatures. The best way store your new wig is on a mannequin or wig stand. This helps to keep your wig in tip top condition when not in use. Using a wig stand will help the wig stay untangled and and keep the style which has been preset in much better shape. Wigs – not all are shiny. Fashion and hairstyles go hand in hand, however it can be so difficult to achieve the look you really want – we all have bad hair days! It’s a hard decision to change your hair colour completely, but we all seem to want to try at some point in our lives, it really is quite liberating to have a complete hair over hall, but how do you know if you are going to like it? Well the short answer is you don’t until you try. This is why wigs are a fabulous idea, if you are thinking about having a change of hair colour why not try a wig rather than committing to a permanent change of colouring your own hair. Many of our best selling wigs are blonde models, from short to long, curly to straight we have a fab range of modern blonde wigs to suit all tastes. 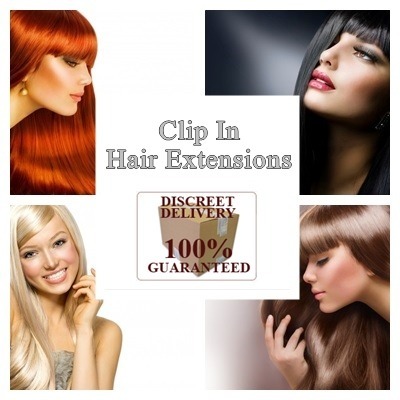 Our range of hair extensions are made from heat resistant synthetic fibre. They are of excellent quality and will not frizzle and burn when hair straighteners or curling irons are applied at a low heat setting. We have tested a huge number of hair extensions, and our findings were quite surprising. As our hair extension sets are heat resistant they are verstile meaning you are free to express your creativity, keep them straight or go for a fuller style using a curling wand or tongs. Have you ever wondered how celebrities seem to have perfect hair….all of the time. Many celebs are turning to wigs and hairpieces as their saviour. From pop stars to soap stars, lots of people frequently seen on TV seem to change their style – one minute short bobs to long blonde locks the next. Wigs give you the opportunity to change your appearance without having the commitment of a permanent change to your own hair. Many celebrities have adapted and changed their style simply by using wigs. You can create a fantastic alternative look without spending a fortune or hours in the hairdressing salon. Nowadays, models can be easily seen wearing different varieties of hair extensions and wigs that look simply stunning. Many people wear them all the time while working or at home. Wigs can be placed perfectly and make you look ready for any occasion, once you find a style to suit you the sky’s the limit!!! You can buy some wigs that you can wear immediately, most wigs look more life-like when they have been trimmed to suit your face shape. Many wigs have over 40% too much hair in them and need to be thinned down to look more natural. Also, just as when cutting real hair, a wig should be customised to the individual. For example, layering around the face, or cutting a fringe – it really does make a big difference and with a wig the this is what makes it look real. Synthetic wigs are more comforting and advantageous than the natural ones. Not only are they quicker and easier to dry than the natural hair wigs, synthetic wigs even hold the style and shape in a better manner. Such wigs come with a preset style, making it easier for you to maintain the shape. Synthetic wigs are lighter and cooler in the summer season, making them pose as the perfect option. An added advantage of these wigs is that since they are made of synthetic fiber, every time you step out in the sun, you don’t have to worry about your wig changing color. However, to obtain all these advantages, it is very important for you to take good care of your synthetic fiber wig. Though these wigs are less time consuming when it comes to styling them, synthetic wigs demand proper care and handling. Here are few tips on how you can take care of your synthetic wig. A synthetic wig doesn’t need to be washed very often – after 10 or 12 wears is usually enough. Still, you might have to wash your wig more often if you use a lot of spray or mousse on it. Every washing shortens the life of your wig, so our advice is try not to use excessive styling products on it, and don’t wash your wig until it looks like it needs to be washed. Remove the tangles gently with your fingers and brush your wig, before washing it. Do not attempt to brush a wig that is curly. Purchase a synthetic wig shampoo. Fill in a basin with cold water and pour the shampoo into it and place your wig in the shampoo mixture. Leave the wig to soak for about 5 min. Swirl your wig in the shampoo water, without rubbing the fibers. Thereafter, rinse your wig under running water, until all the shampoo washes out. Shake out excess water and put your wig on a towel for drying. You can even use a wig stand for the purpose. Use a wig conditioner and apply it through the strands with your finger. Put your wig in a warm room with good ventilation and let it dry naturally. Brush your wig once it is dry. The synthetic wig is ready to be used again. Remember, do not brush a wig that is with curly hair. Use T-pins to pin the wig on the wig stand. This makes combing easier. Untangle the strands in your wig with fingers and use a fine wig brush to comb your wig. Once you have combed the wig, apply rolling papers with prescribed lotion on it. Leave the wig on the wig stand with the rolling paper for a minimum of 24 hrs. Once the wig is completely dry, take it out and style it in the way you want to. To minimize the tangling make sure you put on the hair net, while storing your synthetic wig. For longer wigs tuck the end part of the tail carefully inside the hair net, while storing. To prevent any dust from settling on your wig, cover it with a scarf whenever you leave it on the wig stand. You can even store your wig by turning it inside out, placing a cap on the outside and keeping it in a plastic bag. Do not expose wig to high temperatures, as the wig fibers tend to get damaged. Style and brush your wig only when it is dry. Do not use blow dryers, curling irons or hot rollers on your synthetic wig, as excess of heat can cause the fiber strands to destroy. Never color or bleach your synthetic wig. Place your wig only on a wig stand. In case you don’t have one, put it on a vertical cylindrical shaped items like spray can or bottles. Use only wig care products to wash and style your wig. This helps in maintaining the natural look of the wig for an extended duration. As you can see, caring for a synthetic wig is really easy. And having a wig or several differently styled wigs can really help you to change your look in an instant.